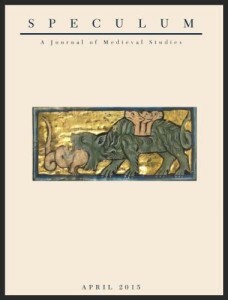 Online access to Speculum is a perquisite of membership in the Medieval Academy. To access Speculum online, you must first sign in to your account on the Medieval Academy website, http://www.medievalacademy.org. After signing in, follow the link on the “Speculum Online” page to access the journal through the University of Chicago Press site. As part of our partnership with the University of Chicago Press, members now receive a 30% discount on the publications of the University of Chicago Press and a 20% discount to the online Chicago Manual of Style. For more information about Speculum and the new University of Chicago Press member benefits, click here.